Institut Tres Bien is a basic intro line. Cologne a la Russe is a spicy wood with a nice citrus kick. The three tradition scents – Amber, Cuir, and Bois are realistic single-note scents. Berdoues Colognes Grand Crus are elevated colognes. They are light but have a full-bodied feel. Scorza Di Siciliar and Assam of India are both solid citrus scents. Scorza brings in cedar and vetiver, which means it will probably never touch my skin. Assam brings in a tea note and a hint of creamy sandalwood. Arz El-Rab and Oud Al Sahara are heavier orientals, but not overbearing. 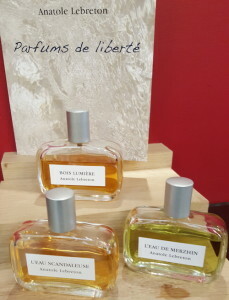 At 70 Euros a bottle, all of these colognes are a much better value than Third Men. 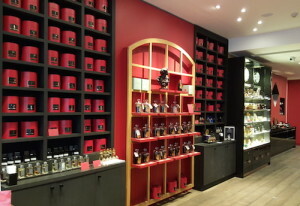 I discovered the Gritti line in Germany last year with its heavily-spiced Damascus (review coming soon.) The high end expensive jeweled line (Collection Prive) didn’t grab me except for Areta, a spicy, candied carob with a lot of weight. I actually think the main line is nicer with the spicey Damascus and Noctem Arabs. Doped Tuberose is a unique take on florals. Saraj and Delirium start with the same briney note as ODriu scents. Antalya has a strange top note that makes me sneeze and has that ugly pretty vibe that Tyra Banks always talked about on America’s Next Top Model. This interesting line is definitely worth exploring. Olfattology seemed a bit generic for such an expensive niche line. Yacuma is a nice rose. OT-11 is a spice bomb. Sagami is the major standout with a mix of incense, plum, tobacco, and woods. I spent more time with Nobile 1942 than I did in Italy and started to really enjoy the line. Anonimo Veneziano, Pontevecchio, and Casta Diva are three florals that I want to spend more time with. La Danza delle Libellule is an upscale fruity floral that would be a nice adult fragrance for any woman who grew up on Britney Spears perfumes. Cafe Chantant is a sweet, milk chocolate coffee with a hint of cherry. The extrait version is a dream come true. The only scent that lost me in the line was Malia which had a witch concept that was beyond cheesy. While there was nothing new from Bois 1920, Sensual Tuberose is always amazing. Jovoy also has full stock of cult favorite Vento bel Vento, which is hard to find. 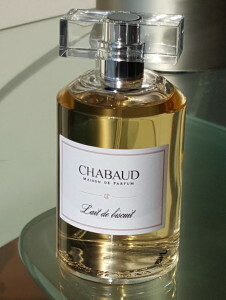 Chabaud Maison de Parfum does sweet very well. 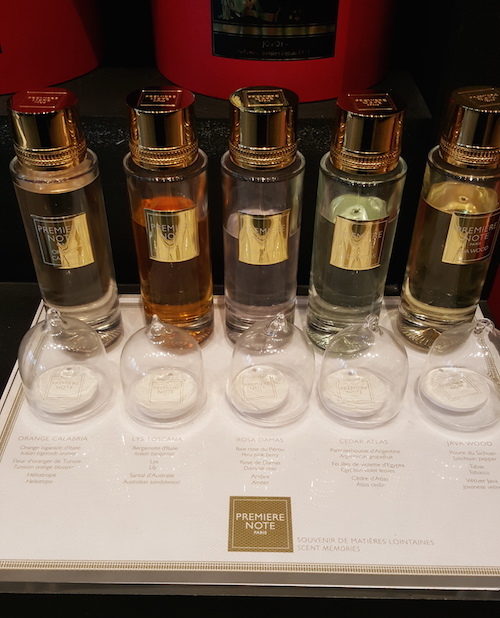 The three milky scents – Lait de Biscuit, Lait Concentre, and Lait de Vanille were all so strong that it was a challenge to choose which one was going home with me. (Lait de Biscuit made the final cut.) 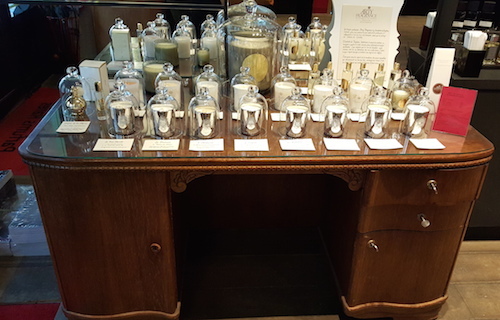 The two florals, Vintage and Chic et Boheme are both worth sniffing. One criticism, the only mysterious thing about Mysterious Oud is why every niche line have this same exact scent. I will also note that the caps are unique with the pass through top. 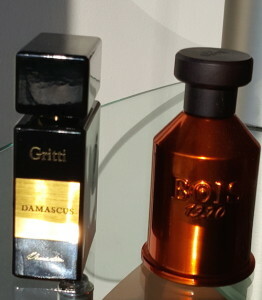 The new Collection d’Ailleurs remind me of the first batch of Tom Ford Private Blends – you know they were really good. D’Ame de Pique and Noir d’Orient are heavy and full-bodied. Blanc de Sienne is ethereal and reminds me of IUNX l’ether. The wood feeling caps give the bottle a really nice feel. One line that didn’t impress me at all was Anatole Lebreton. Looking past the cheap bottles with tacky white sticker label, the three scents could easily be described with two words each. L’eau Scandaleuse – Cougar Juice. Bois Lumber – Dirty Pet. L’eau De Merzhin – farm hay. I don’t see myself spending much more time with this line. For some reason, all the notes that I wrote after this entry disappeared without a save. The Arty line of scents and candles were quite nice. I remember liking the Premiere Note line as well. I sniffed the Xerjoff Al-Kimiya line and as amazing as they smelled, the price price point made me too scared to try on skin. I ended up skin-testing Gritti Arete, Chabaud L’ete du Biscuit, Mendittorossa Segno Beale and Liquides Imaginaires Bello Rabelo. All four of them did really well but my sweet tooth won out and I bought the Chabaud.